Airboss - Bird Tire Sales & Service, Inc. Which AIRBOSS tire is best for the job? The most important thing you can do to maximize AIRBOSS tire performance and customer satisfaction is to select the proper AIRBOSS tire for the application involved. The 7.50-15 and 8.25-15 SemiSolid sizes, when applicable, should be considered first for all applications. The more robust and thicker tread depth will provide better wear in smooth floor and more severe service applications. Traction is equal to pneumatic tires. The 10-16.5 and 12-16.5 Altrakka III sizes should be used if addition floatation and traction are required. When should the wheel lug nuts be re-torqued? Wheel lug nuts should be torqued to the vehicle manufacturer’s specification for solid disc wheels. Shortly after initial use, the lug nut torque should be checked and re-torqued if necessary. The tire should be cleaned after the removal of any worn out segments. For ease when replacing multiple segments, the last three segments should be fitted onto the rim together, then tightened to the proper torque. Refer to the “Segment Replacement” section for additional details including torque requirements. Should I rotate the tires? In some applications unequal wear may be experienced between the front and back tires. 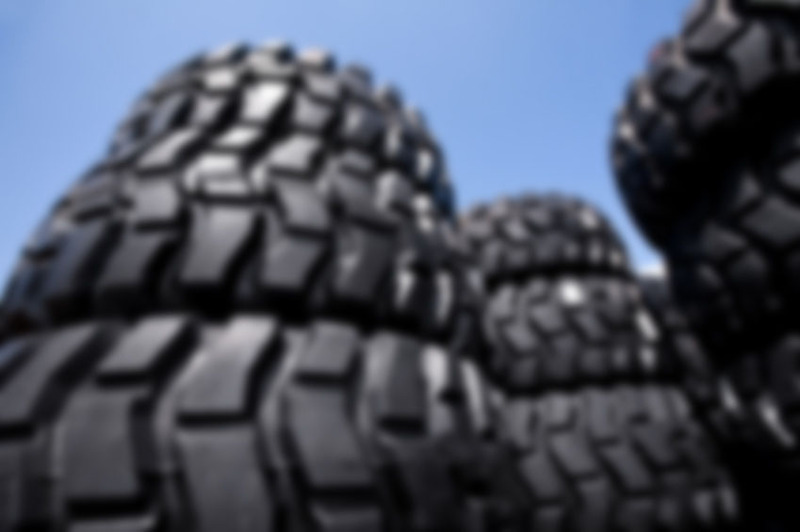 Rotating skid-steer loader tires from front to back will equalize the wear and extend the life of the tire. AIRBOSS wheels are designed to withstand the rigors of off-road usage. AIRBOSS rims are manufactured from 60,000 PSI high strength low alloy used. Compare this to conventional rims which are manufactured from 30,000 PSI/C1010 steel. Denting which would put a conventional tire out of service will be taken in stride by an AIRBOSS tire. If extreme abuse does dent an AIRBOSS wheel, your machine can be used until repairs can be conveniently arranged. When is a segment worn out? The worn out appearance of AIRBOSS tires is different than conventional tires. Although legally worn out at 2mm tread depth, many continue to use the tire until the top of the segment is worn through. At this point the segment should be replaced even though it may appear that there is usable rubber in other areas. Operating the tire beyond this point can cause the top of the segment to become partially or completely removed which may result in unnecessary damage to the adjacent exposed segments. When replacing a single segment, should it match existing ones? The simple answer is no. New segments will wear to the height of adjacent segments. However in some applications, excessive differences in tread depths can result in a poor ride. If no spare used segments are on hand, contact our Customer Service department for assistance. Remember, damage that would have destroyed an entire competitive tire may only result in the replacement of one AIRBOSS segment. AIRBOSS tires can withstand cuts, tears and abrasions which could ruin competitive tire. Such wear is normal in some applications with segment replacement required only when the most severe damage has occurred. Segments form an “interdependent support system”. Severely damaged segments should be relaced to maintain this system.